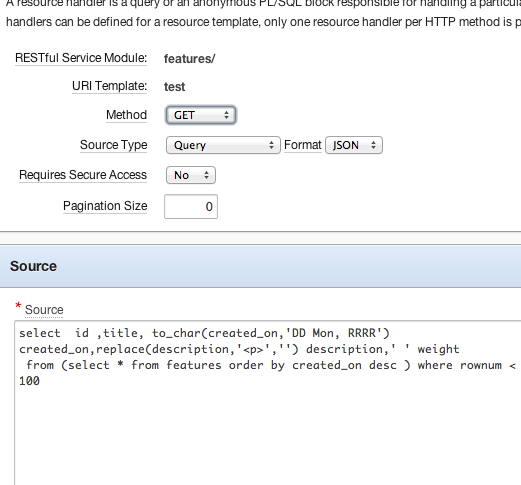 So the question came up of avoiding a db link by using the APEX Listener's RESTful services to get at the same data. This is all in the context of an Apex application so apex_collections is the obvious place to stuff transient data that could be used over a session. Step 1: Make the RESTful Service. 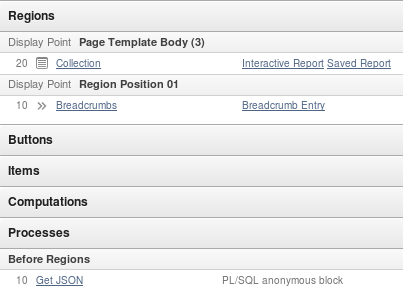 The only catch is to turn pagination off ( make it zero ). I didn't need it for now so this code that follows doesn't account for it. 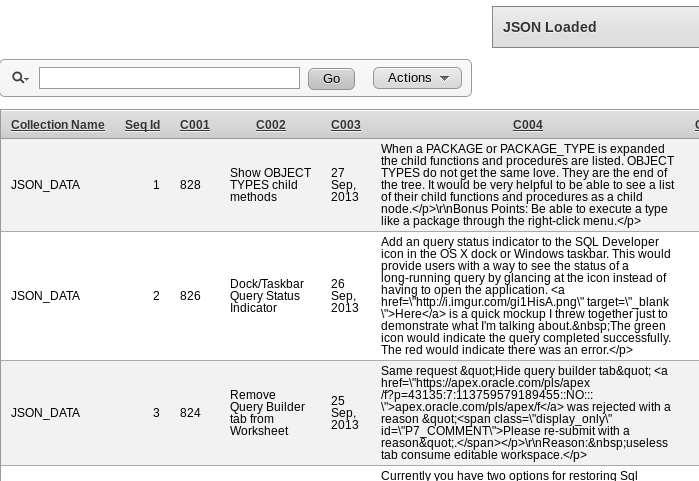 In the future this can be done with built in support for JSON in the database. -- simple function to remove the leading and trailing "
The glue code is in the process named Get JSON. The interactive report is simply: select * from apex_collections. Oh the ā'pěks is from the oraclenerd store. If you don't have a shirt already, you should.